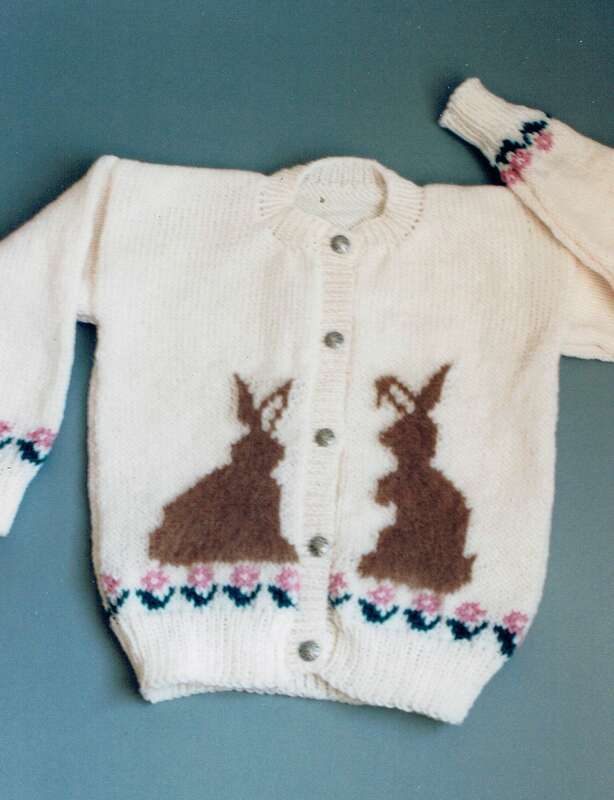 #110 QUIET VISITORS bunny cardigan. Country's Child knitting pattern. For kids sizes 4-10. Finished measurements 28-34 inches. Gauge is 4 1/2 sts & 6 rows per inch.